Place the No Name® Wild Rice Meatballs and your favorite sauce in a 9x 13 baking dish and stir to coat the meatballs. Place in a 425 degree oven until meatballs are 165 degrees internally and sauce is thick and bubbly. Remove the leaves of the lettuce and wash. Pat dry and place the leaves on a plate. 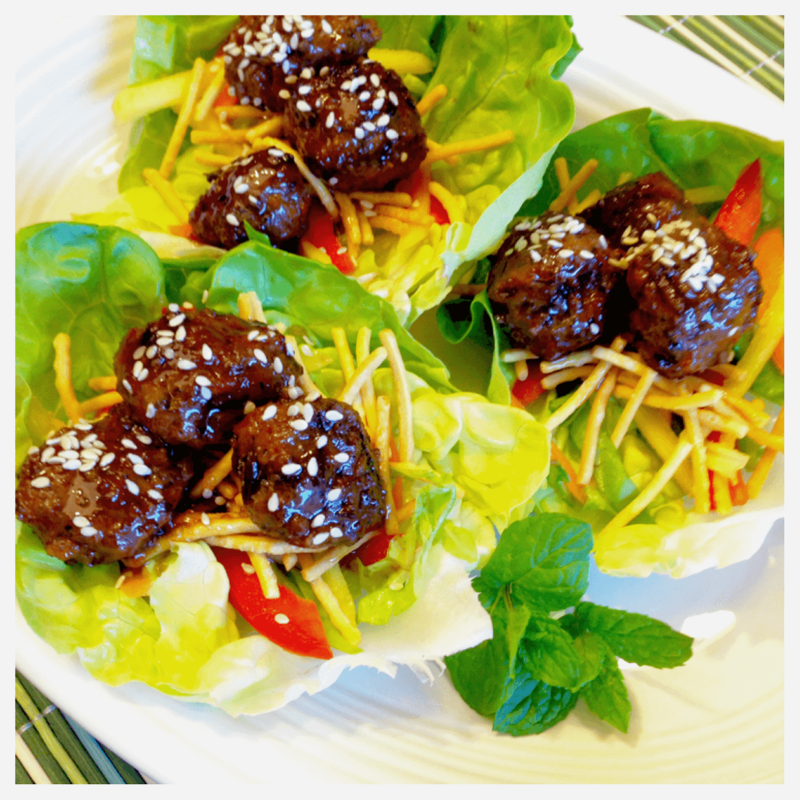 Place the vegetables in the lettuce cups and top with the warmed Wild Rice Meatballs. Drizzle with extra sauce. Enjoy!!! A quick and cooling first course is ready in no time with No-Name Wild Rice Meatballs and some pantry basics. These make an impressive appetizer on a buffet or a fantastic first course for guests. Easily Make them into a meal by adding some steamed rice. You can vary the vegetables by using anything that ends up in your crisper drawer. Easy, fast and flavorful! Suggested Toppings – Pick your Favorites!